Burger Wines — what does that even mean? What food do you think has more variations, a burger or a pizza? This is a question I spent way too much time thinking about the other night, thus prompting this post. My first instinct was the pizza. The combinations of toppings, sauces, and cheeses are nearly endless. But then again, the same goes for burgers. What kind of meat is the burger made of (beef, pork, lamb, salmon, turkey, other)? Perhaps no meat at all — the veggie burgers add a whole new dimension of options, flavors, and textures. What about toppings? Cheese? Sauces? Vegetables? Condiments? Bread? Each and every one of these items will affect the flavor of the dish. After much thought, I’ve pretty much decided that not only are there more variations on the burger than pizza, but that there are more variations and combinations on burgers than possibly any other food out there. That being said, when it comes to pairing wine with burgers, the options are equally endless. I would argue that there is probably a burger for every single bottle of wine out there, and vice versa. It boils down to what kind of burger. Meat or veggie burger. Toppings and condiments. How it’s cooked and prepared. So what does it mean then when someone declares that X, Y, or Z wine is a good “burger wine”? The answer will depend on who you ask. For me it boils down to a few factors. In general, if I recommend something with “burgers”, with no explanation to what kind or style, I’m generally referring to the average beef burger, prepared simply, grilled, with few condiments or toppings. That being said, even a simple grilled beef burger has a multitude of pairing options, from Cabernet to Chianti to Chardonnay. When lumping something into a category as simple as “burgers” it is saying the wine is an easy going, everyday wine. Let me explain. Simple burgers are an everyday comfort food. They can range from $2 to $20+ (or $300 if you want it made from Japanese Waygu beef, 10-herb white truffle butter, smoked Pacific sea salt, 18-month cheddar, shaved black truffles, a quail egg, and a white truffle-buttered roll like this burger). Burgers can be made from virtually anything out there. I just had a burger the other day made from quinoa and cashews. It was interesting to say the least, but tasted nothing like a beef burger. 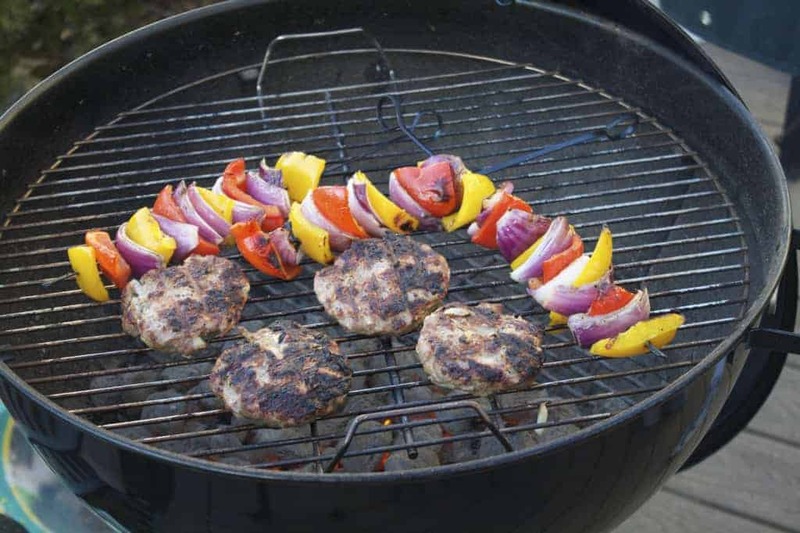 Home cooked burgers conjure up images of a backyard barbecue or a simple weeknight dinner. They taste good. They taste familiar. They are comforting. For that kind of burger I’m looking for a wine that can reflect those feelings, yet can hold up to a burgers juicy flavors and potentially bold toppings (like cheddar cheese and ketchup!). 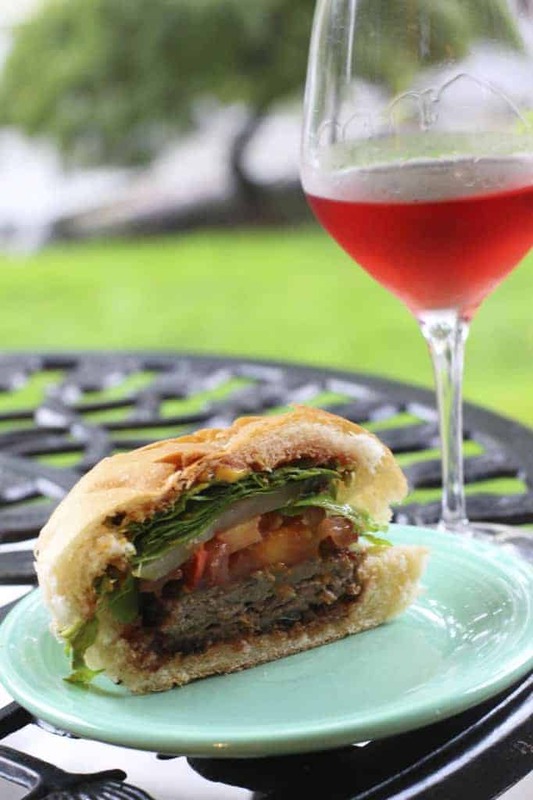 In general, for me a burger wine is an everyday wine with bold flavors — a wine that is tasty but not overly complicated, and one that’s not going to break the bank. That’s my “burger wine”. That being said, we make A LOT of burgers in our house, in dozens of styles and variations. And in just the last two weeks I had quite a few wines that went really well with the various styles of burgers I paired them with. They ranged from this Turkey Burger with Bacon Paste recipe (the burger I probably make the most at my house), to black bean and mushroom veggie burgers, to beef burgers stuffed with blue cheese topped with bacon and caramelized onions (yum, I know!). The following wines all fit the “burger” wine bill quite nicely. If any of these wines fit the “everyday value wine” bill it’s this quaffable fruity rosé, priced at a whopping $7. No that’s not a typo. Seven dollars for this full flavored berry bomb rosé. At first sip this wine has some fairly bold bright and juicy strawberry and cherry fruit flavors with some zesty lemon lingering in the background. Sipping alone it was almost distracting. This wine wanted food. Paired with my juicy turkey burgers (with bacon paste! ), the juicy flavors from the burger toned down some of the wines intensity, and the two really balanced each other out quite well. And who says rosé is for summertime only? This is a full-bodied fruity rosé you can drink year-round (especially with turkey burgers), and for this price? Come on! And speaking of the pizza debate above, this would also be excellent with a pepperoni pie. Campo Viejo, known more for their Tempranillo’s, has launched their first ever 100% Garnacha from the Rioja Valley in Spain. Lots of fresh berry (strawberry, blackberry, cherry) aromas and flavors dominate this wine. This fruity, juicy, and easy drinking wine isn’t overly complex, but does have some bold juicy strawberry and ripe black cherry fruit that went surprisingly well with a veggie burger (but I suspect a simple cheeseburger would be a great match too). Another wine that really shines with the right food. I loved the aromas coming from this wine. Dark and intense with rich black berry, ripe raspberry and dried cranberry and violet, mixed with dark chocolate and sweet vanilla. I’m not gonna hide the fact that I wrote “all things yummy” on my little notepad. It has some bold tannins, but they were structured. All things lead to pairing them with a juicy beef burger stuffed with blue cheese. 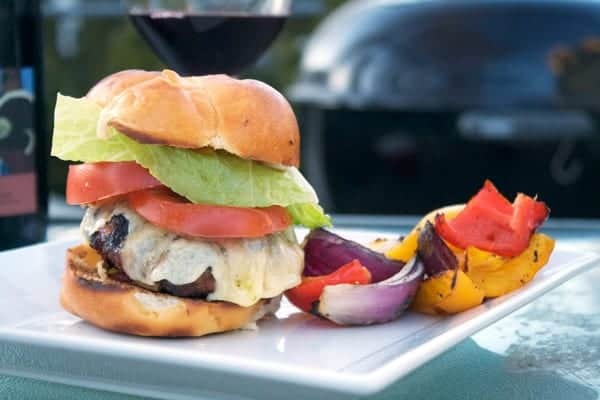 The bold juicy flavors of the meat were exactly what was needed to tame the tannins on the wine, and the strong characteristics of the wine were a bold match for such a powerfully flavored burger. Boom! This is a solid wine, and I’ve seen it as low as $10! For that price, stock up for the winter months. 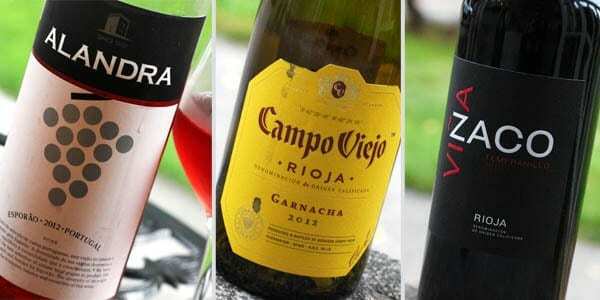 Now all three of these wines would fare well with a variety of different foods. And these burgers are open to a world of wine out there. But during these last two weeks these were three combinations that worked quite well for me. Now I want to know, going back to my original question, what food do you think has the most variations – pizza or burgers? I may have to run this test again with pizza. It’s a small price to pay for the sake of research. And what’s your favorite wine with burgers? More importantly, what kind of burger? Want more recipes and tips? Check out the recipe index on the blog for recipes and wine pairing ideas.